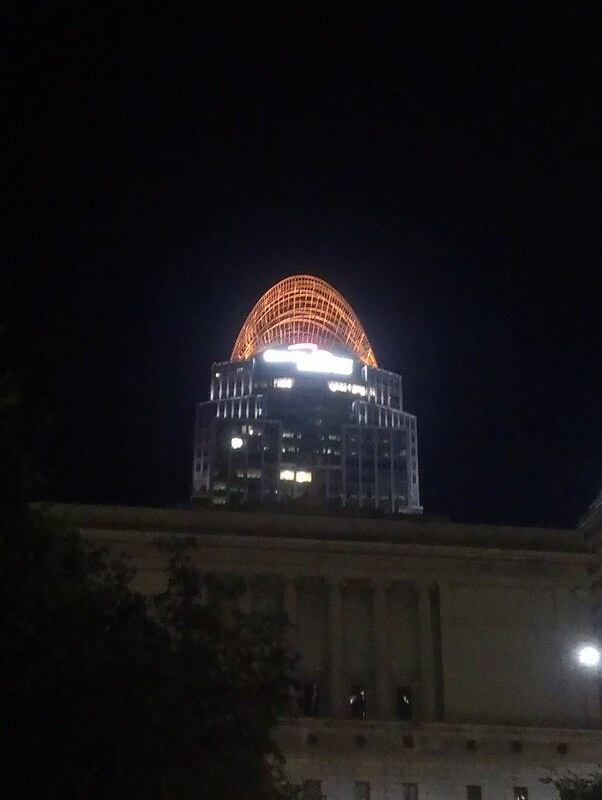 The tiara atop Great American Tower was glowing Red tonight. #JustSaying. #ThatIsAll.